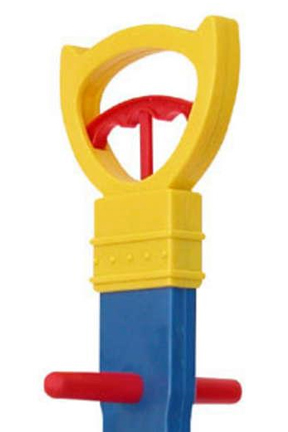 A Large Sand Toy For Scooping and Digging. The sand box has never been this much fun! Kids love tractors, and now they can actually be one thanks to this unique sand toy that takes digging to a whole new level. This powerful scoop is hand activated and designed for heavy duty play in the sand. It is perfect for the beach or sand box, but you can also use it in the snow, mulch, gravel, regular dirt and more. It features sturdy construction and high quality materials so it will hold up to all sorts of abuse by your little construction worker. The real working scoop is styled after actual tractor parts, so kids can act like a backhoe while excavating their dig site. A simple squeeze of the handle will clamp down the powerful jaws to dig up and remove a large amount of sand or dirt. Just release the handle and the jaws will open up to let the contents drop out. 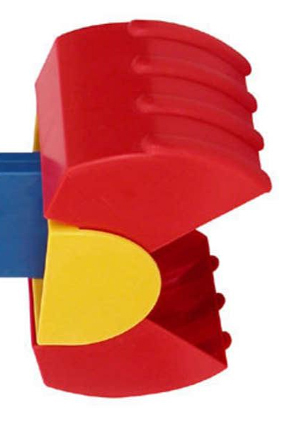 Two additional handles, one on each side, are there for children to grab for assistance with lifting heavy loads. You will be amazed at the construction sites and biggest holes ever that are created when your children add this great sand toy to their collection. It is far from the ordinary shovel, and makes digging holes in the sand more fun than ever. Digging to find the bottom of the sand box will never be the same again because The Digger is cooler than a shovel, and more handy than a bucket. Ages: 3 & up Order Yours Today! The Digger - Turn your child into a tractor with this great toy. 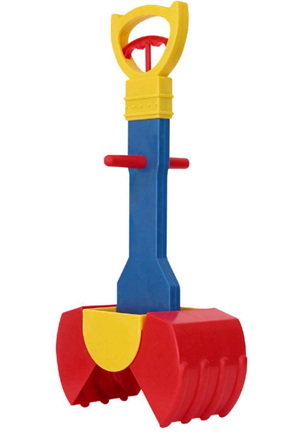 The strong scoop allows children to easily dig large holes, and excavate their sand box. Can handle heavy loads and is perfect for many different materials.